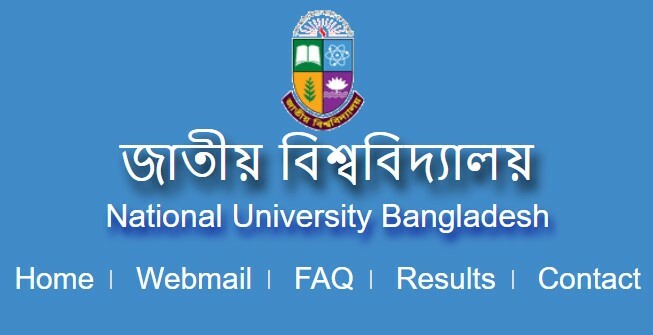 National University has published LLB First part Exam Date 2018 Changed Exam Date. The New Date of LLB Routine 2018 is available on the PDF Routine. National University published the Routine on their Official Website. If you are looking for the LLB 1st Part Routine 2018, let’s get it from the below. The Candidates or Examinees can download the Official Routine of the desired Exam from this Post. 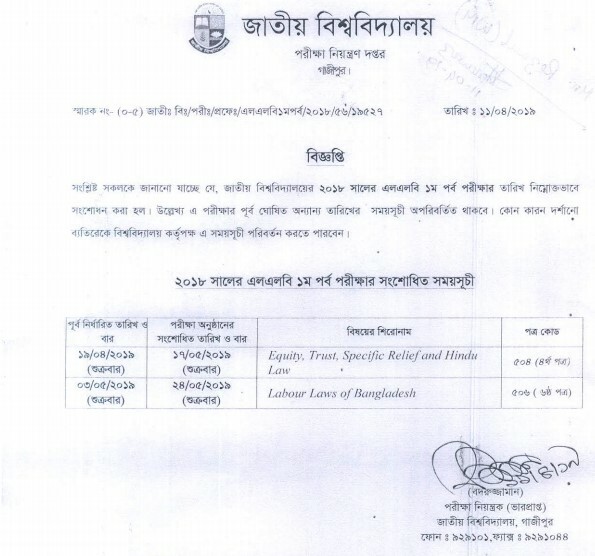 Two Exam Date has Changed. The First one will hold on 17 May 2019 where the old date was 19 April 2019. Another New Date is 24 May 2019 where the old date was 03 May 2019. Subject Name, Code and other information are also available on the below Routine Image. So, you can now download or save the HD Image of LLB Exam Routine 2018 on your Device. If you want to know more or have any question, contact your Institute or the Contact National University of Bangladesh. We hope the Authority you give you proper solution shortly. Thank you for Downloading Routine from this Website.